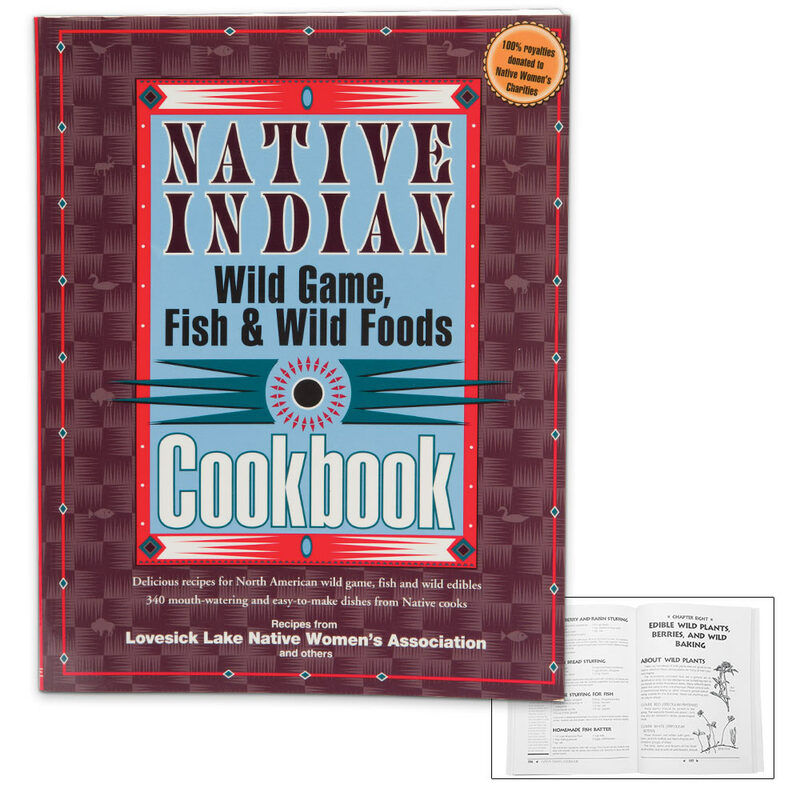 Native Indian Wild Game, Fish and Wild Foods Cookbook | BUDK.com - Knives & Swords At The Lowest Prices! Cook native game like native peoples! When cooking native game hunted on American soil, it just makes sense to do it like America’s native peoples! Inspired by traditional Native American recipes, the Native Indian Wild Game, Fish and Wild Foods Cookbook makes preparing venison, elk, pronghorn, trout and dozens of other game animals and fish a snap! No one will ever complain about your “gamey”-tasting meat again if you follow the simple recipes in this cookbook. 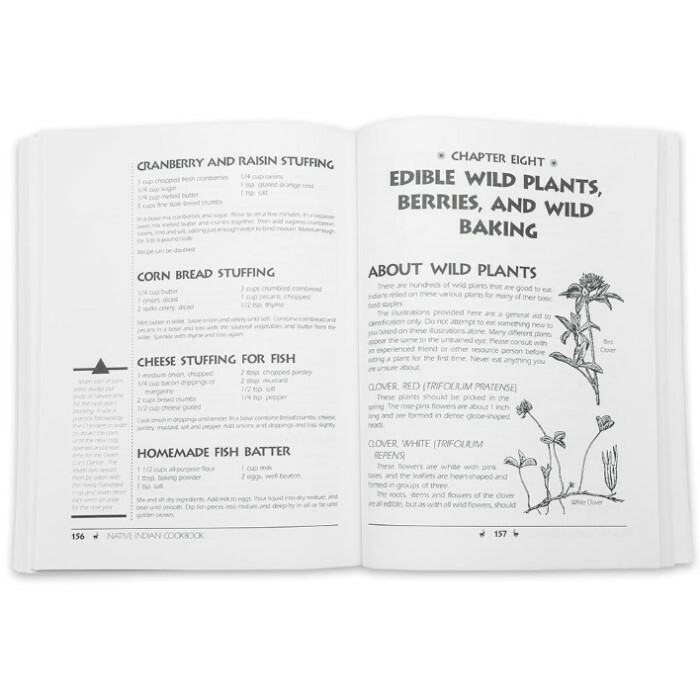 It even includes recipes containing wild plants - the same found in common Indian fare. 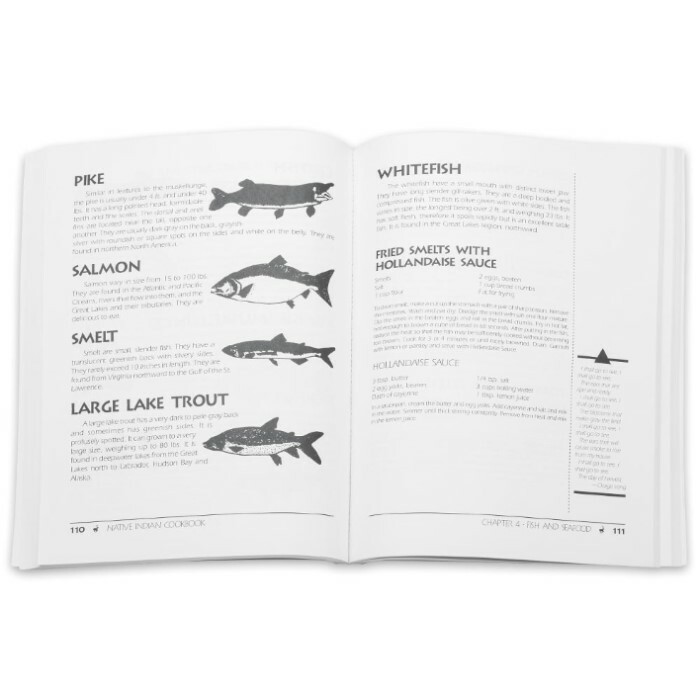 Whether you hunt game, fish or just like to cook up friends’ and family members’ kills, the Native Indian Wild Game, Fish and Wild Foods Cookbook is essential reading. Makes a great gift, and the publisher donates all royalties to Native women’s charities. Softcover, 228 pages.